November 11, 2014 | Matthew R. Arnold, Esq. 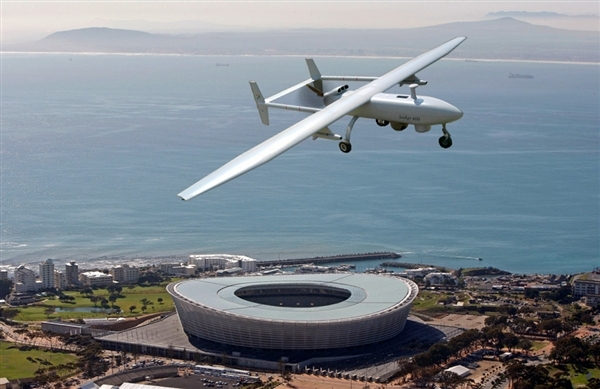 Now in addition to birds, planes and Superman, spectators at sporting events can look up in the sky and see drones. The Federal Aviation Administration (FAA) is investigating a number of recent drone-related incidents at packed football stadiums across the United States. Agency officials say small drones pose safety hazards, hazards University of Wisconsin-Madison campus police spokesman Marc Lovicott saw firsthand when a drone swooped over the student section in the 80,000-seat Camp Randall Stadium during an October 11 football game against the University of Illinois. Lovicott is worried criminals or terrorists could arm the drones. That’s a drone stigma to which Nick Stover said he is accustomed. 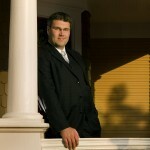 Stover is director of social media for the University of Louisville’s athletic department. The university purchased three drones, which Stover said he has used to film practices and fan events. Those assumptions may be driven by the United States Military’s highly-publicized drone strikes in foreign countries, targeting both American and foreign terrorists. To the common man or woman, drones and drone usage are still largely novelties. Governments have long seen the national security potential—good and bad—of drones. Now businesses are beginning to see the commercial potential in drone use. Some of the first companies to obtain FAA waivers permitting commercial drone use were Hollywood filmmakers, who will be permitted to use drones to film movie scenes in densely populated areas. And it is not as if the skies were empty before the proliferation of drones. Sports enthusiasts have become accustomed to pregame flyovers to commemorate various anniversaries and events. The Department of Defense has said it receives thousands of requests yearly from various event organizers for fighter-jet flyovers. In 2010 alone, the Air Force performed 275 flyovers of sporting events, which accounted for only a quarter of the total number of flyovers the force performed that year. The same year, four F-18 fighter jets flew over Cowboys Stadium for Super Bowl Sunday. The only year the Super Bowl did not feature a fighter-jet flyover was 1967. The 109,901 fans who gathered in Michigan Stadium to watch the University of Michigan football team play against the University of Utah were treated to an aerial show featuring fifteen planes and helicopters. The aircraft were manned—or operated by a pilot—and that made all the difference. Atkins said the drone was going to be launched from a tunnel inside the stadium and would not have risen more than thirteen feet above ground. Engineers had tested the drone extensively and fitted it with backup systems and a kill switch in case anything went awry. They also offered to tether the drone to the ground, in order to appease the FAA. The FAA was not appeased. It said university officials did not undertake the detailed certification process necessary to obtain approval for drone use. Engineers had to scrap the planned drone-game-ball delivery, infuriating Atkins and other professors. “I don’t see any rational argument for what they did,” Atkins told the Washington Post. The FAA says its rules regarding drone use are intended for public safety. Drones cannot be flown below 3,000 feet or within three miles of baseball or football stadiums with a seating capacity of 30,000 or more. The restrictions only apply on game days and begin one hour before an event and end one hour afterwards. The rules followed congressional action in 2012 to “open up the nation’s skies to drones of all sizes… without compromising safety standards,” according to the Post. Away from the roar of stadiums, recreational drone users can fly the machines as long as they keep them below 400 feet and away from airports. Using drones for commercial purposes—i.e. filming or photographing events and offering the same for sale—is largely prohibited, but those prohibitions are expected to be lifted as the FAA develops rules regarding commercial drone usage.